“Keystrokes?” the die hard mouse people whine ask? 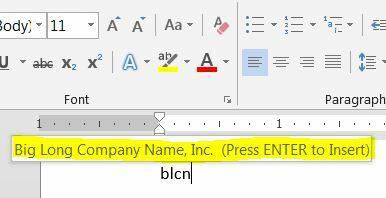 For you long time Autotext users, the good news is that Microsoft left in the legacy keystrokes for this feature. 1. Select the text you never want to type again, whether you open a document which contains that text or whether you type it from scratch – select it. 1. Begin typing the nickname for the text snippet you want to insert. 2. After 2 or 3 letters, press “F3” and the nickname you typed will be replaced by the text snippet you saved, formatting, spacing and all. Just like always. 2. 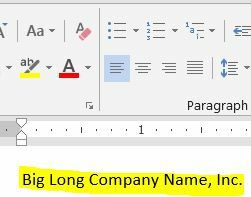 After you’ve typed 4 letters of your nickname, MS Word will prompt you (see below). 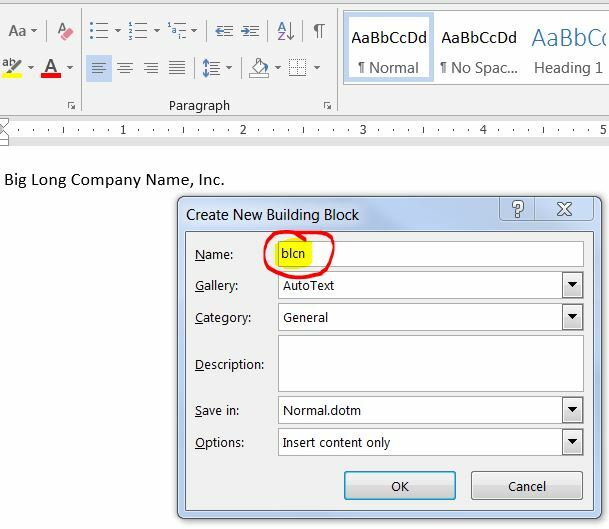 If you press “Enter” your nickname will be replaced with the corresponding building block text. 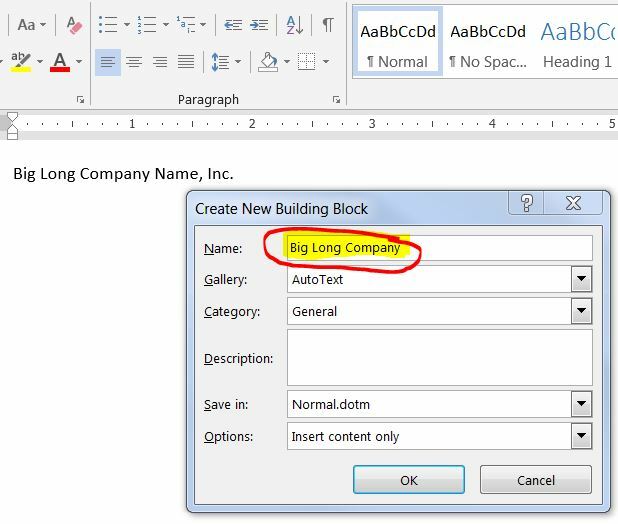 If you press enter, tab or keep typing, MS Word will assume you mean to type those letters and it won’t replace them with the building block text. If you want Word to visually prompt you to press the ENTER key to PLAY your entry as soon as it recognizes the nickname, make sure you (a) give it a name that is at least 4 characters long and (2) make it a unique name – NOT a real word you might really want to type. If it’s a real word, it WILL be replaced with your saved Autotext text snippet if you press enter, whether you want it replaced or not.